Growing up, you may have had fun going into chemistry class to learn about different chemicals. Discovering how chemicals interact with one another and what goes into their compounds. However, the thought of what happens to the chemicals that aren’t used or where the used ones get discarded probably never crossed your mind. It is the responsibility of the administration to ensure safety within the building. Administration and parents should keep students safe from chemicals. This could be while these chemicals are in storage, when they’re being used and that they are discarded properly. All situations that chemicals are being used should be of the utmost importance. So what are the potential dangers of keeping chemicals in schools? Storage – Just as with any chemicals, improper storage can create a very unsafe environment, especially when children are involved. Being certain that chemicals are in proper containers, not stored next to incompatible chemicals, or are not leaking is extremely important. Safety Equipment – It is our experience that hazardous safety equipment in schools is not maintained adequately. Equipment such as eye wash stations or drench showers should be checked monthly to ensure they are still working properly in the event and accident should occur. Staff and students should be trained how to properly run the equipment in case of an emergency. Communication – When chemicals are kept on-site all employees should have a knowledge of these chemicals and their potential hazards. A hazardous communication plan will outline these dangers and train employees what to do in an emergency. How can you assist in keeping your students safe if you have chemicals on site? Labeling – we have discussed this before in The Top 11 Hazardous Waste Violations. It will always be an important lesson in any scenario. 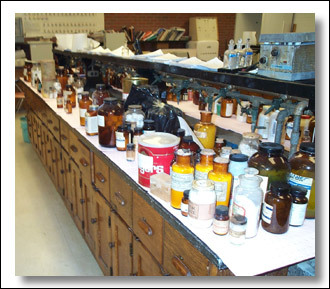 In a school setting it is especially important for students to understand what chemicals they are about to handle and the hazards associated with each one. 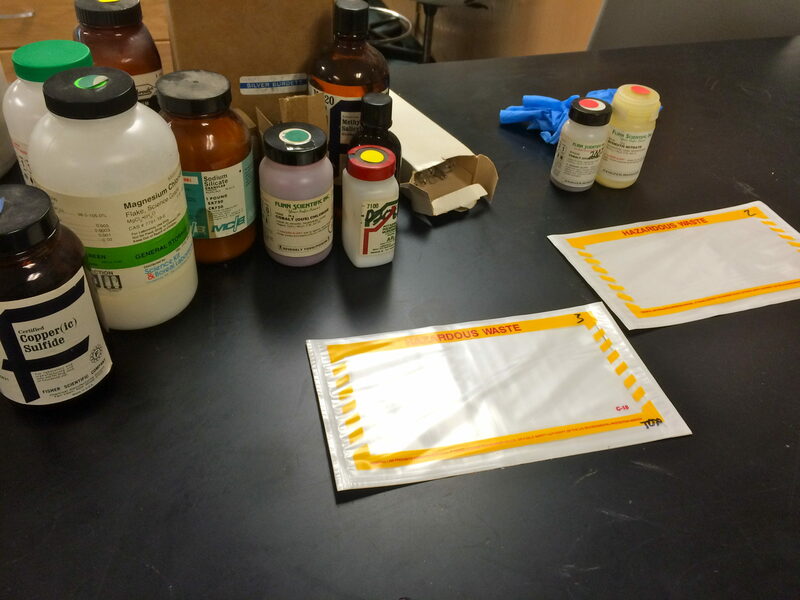 Communicating the hazards of a chemical using proper labeling versus not, can mean the difference of a great learning experience or a serious injury. Inventory & Safety Data Sheets (SDS) – Having an adequate written inventory can assist in the event of fire, life threatening situations, or many situations where emergency responders need this information to make safe decisions. To go along with the inventory should be a SDS for each chemical so everyone knows how to handle a situation involving chemicals on-site. Training – It is mandatory that all employees have training regarding hazardous materials and the school’s hazard communication program. They should also know where to find the hazard communication program. If your school does not have a hazard communication or training, we can help get you up to date.